It is not believed that you will have difficulty in forgiving yourself my sister. Do you understand this statement? It is the ego that has you convinced that you are unable to forgive yourself; you are just beginning to realize the damage that you have done. Do you understand? Forgiveness of the self is not on the near horizon for you my sister, for recognition of the self’s behaviors, the self’s actions, need be made – understanding need be garnered. It is then that forgiveness is provided. To forgive the self prior to achieving understanding indicates that the lesson will be scheduled for you once again in future and shall be failed once again. Do you understand? Student: I would prefer not to go there; I would prefer to get it done now. The purpose of this conversation my sister is to indicate to you that you have embraced the story of the ego – that the self is unable to forgive another because the self cannot forgive the self. It is to state to you with emphasis that the self is not concerned truly about being able to forgive the self. The self is desirous of elimination of these feelings. The first step is to forgive another. The first step is to forgive another. The first step, my sister, is to forgive another by recognizing the damage that has been done by the self, whether in similar fashion or differently is of no consequence. Do you understand? Student: Where do you suggest I begin? To recognize that it is lesson – failed lesson – that causes the self to damage another, to recognize that the self is not the only self that has failed lesson. It is to step forth and to say, “I have been damaged by your actions” – to explain to the other how the self has been damaged; for it is in the explanation that the self will begin to see that the self has damaged others in similar fashion. Do you see, my sister, that by not speaking, not extending this information to another but rather, providing the other with the false face – one that says, “Yes, of course I forgive you” – that the self has failed to do the work necessary for true understanding? Student: I see that now. Thank you. Is there a particular situation that you would like me to begin with? The judgments will guide you my sister. When you find that you are thinking of another, when you find that you are speaking of another negatively, the starting point has been provided to you. I ask that each present focus upon the heart chakra, to feel the beating of the heart, recognizing the power that lies within to draw forth wisdom or to bring forth judgment; for the heart is the energy center of the body, the generator of emotion – that which builds thought, that which creates positivity, that which tears asunder that which has been built by another through judgment. Thoughtless, careless judgment weakens that which has been built by another, particularly when the judgment is made with great emotion, with thought that has been focused upon - stated silently or aloud matters not, for the thinking is powerful enough to diminish, to destroy that which has been fought for by another. It is important for all present to recognize the power of the self’s thinking - the power of judgment to destroy the efforts of another, for this thinking also attracts others who will judge the self, thereby diminishing, destroying that which has been so hard fought by the self. Your choices to continue creating karmic callings inform me that you are uncertain of your path. Student: I feel like I am fighting with myself all the time, like I’m battling an inner demon all the time. I don’t feel like I’m winning. There is no place else that I want to be and there’s nothing else that’s more important to me but I just keep failing. I don’t want to hurt other people. I don’t want to hurt myself. Tell me what to do and I’ll do it. You know what to do my sister. I shall provide you with homework. We shall attempt once more to determine if this path is truly your desire. All judgments formulated within the mind must be spoken aloud, for it is in this way that the other is informed, that the other can battle you, that the other can set you straight. It is important for you to recognize that those things that are unspoken are just as powerful as those things that are spoken; however, you are not penalized for the silent thinking in the moment, whereas the other is. Do you understand? Recognizing the thinking is important to all present; eliminating judgment is critical if one is desirous of returning to divinity. The teaching this day of primary interest to myself is that which concerns Te' Auna, that which brings forth the lesson of lack – the inability to overcome the experiences of many, many lifetimes wherein the self determined that the self did not have what the self needed in order to survive, in order to be successful. It is important for all who encounter this lesson to understand that the Teacher guides the fruits that are made available to the self; it is to earn the fruits that is necessary. It is to understand that those fruits that are withheld are being withheld for great purpose – to teach, never to punish, unless of course the self has been responsible for withholding fruits from one who deserved such in previous or in the current lifetime; it is karma that is visited upon the self that has damaged the bounty deserved by another. This is most often exhibited through greed, wherein the individual determines that the self’s bounty is insufficient and another’s bounty is earmarked for the self. It is important to recognize that all – all consciousnesses - experience deprivation; all consciousnesses judge this experience as lack. The purpose of the lesson is to teach. It is for all students to recognize the behaviors that lie within that indicate that the self does indeed perceive lack for the self: the eyes that rest upon the possessions of another, judging the holder, stating, “I would never spend that much money on that item” – as if the other should have made similar choice; stating the other “has far more than they need”; stating, “I wish I had just half of what they have, questioning even within the mind, “why would they not share their bounty with me?” For the self who is unwilling to pay the price sought for goods, always searching for the lowest possible price to be paid for goods that will be expected to be of good quality; and the individual who fails to see those who are in need, those who could be assisted without interfering with their lesson plan. It is important for all students to recognize that to give to another is not always the answer – it, in fact, often is more damaging than helpful. To recognize that the self is either stingy or generous is important; to modify generosity is equally important to elimination of stinginess, for all consciousnesses here upon the planet have come to learn how to conduct the self in an environment where money is the central focus. Learning to conduct the self with honor, learning to provide only that which is necessary to aid another forward upon their path. This could be one dollar – it could be fifty thousand dollars; it is to provide assistance with right purpose. To discount and to minimize – our sister (student) has brought forth many, many examples of these energies. I shall only add that the student of the self is often unable to see the self’s culpability without the assistance of another, for story is immediate – story is used as the rescue so that others may see the self as saintly, as one who was merely trying to aid and got caught in the crossfire, as one who has done nothing to merit the treatment that has been judged as unfair, unwarranted. It is this student that fails to recognize karma. It is the student that often places karma at the top of the list for all that is experienced by the self that is painful…this is true of course, for the karma earned by the student of Shame is often extraordinary, often cannot be repaid each for each; rather, service must be provided in order to balance the accounts. It is to be honest – you know what is story my sister; you have been manufacturing it for the better part of this lifetime. You know all story within the self’s repertoire because the feeling that is on the surface tells you, “this is story” and, “if I’m questioned I will be irritated, frustrated, angry”…that is story – that which need be protected, defended. It is to tell him how he can recognize this in another, to counsel him, for he is not versed in the ways of those who use others purposefully, with malice aforethought. Brother Loereve has used others as well – he leans upon them too heavily but it is not with malice aforethought; it is not uncaringly, it is not without remorse when it is brought to the self’s attention. The student that has the lesson plan of Repression will attempt to repress another, to provide them with concepts or ideas that are believed to be more correct than that which is held by another. These energies are those that are passed to the lesson plan of Shame, as well as the lesson plan of Separation. The lesson plan of Shame will utilize the knowledge to be contemptuous and to diminish another who thinks differently. The lesson plan of Separation shall utilize the knowledge to overwhelm another completely, to inform another either audibly or silently that they are a fool to think differently and that the self cannot associate with one who is obviously so ignorant as to maintain such belief. It is important to note that the individual that is repressing another is providing valuable service – to awaken within the other anger or sorrow, to draw forth deep emotion that will cause the self to recognize, “I am being manipulated. I am being used. I am being diminished. I am being threatened” – so that the self recognizes the behavior of the self has invited this repression…has indeed invited this lesson. All that is found within the lesson plan is not karmic in nature until the self has learned the lesson. Once the self has learned the lesson, the drawing forth of karma – to, in effect, repay the self for that which has been wielded/provided to another becomes appropriate. The student’s lesson plan draws forth others who can provide the self with lesson – that which has yet to be learned by the self, that which has yet to be learned by the other – the two then present lesson to each other. With the lesson plan of Repression, there will be one who fails to speak up for the self - there will be the other who, with this particular individual, has no difficulty whatsoever in speaking up for the self; this same individual however, with another who is stronger, would never respond to one who is attempting to repress the self. It is the lesson – to speak – that is being presented. The self represses those that are weaker than the self and allows the self to be repressed by those stronger. It is for the self to be the same self at all times – the self that speaks is the goal. In order to learn the lesson plan of Repression, Shame or Separation, the self must begin to invite scrutiny, to invite assistance of another in all things; failure to do so states that the self chooses to repress the input of others. The mind has aided her by casting off all those things that could not be understood, that were too painful to bear - wherein time was the only thing that would allow the self to begin to look more closely, for the pain had eased somewhat; embarrassment, humiliation - while still felt, are not as troublesome as when the experience was first presented. Again, it is the mind that aids the student to put away those things that cannot be understood; recognition that the self cannot understand all experience as it is being experienced is critical to the student who walks the path to healing. The belief that the self need understand prior to moving forward, prior to casting aside that which has been experienced, is cause for abandonment of the path; for the pain has increased with each thought, with each moment that the self determines that the self cannot move forward until understanding has been achieved. Understanding the self’s journey is important. The student believes it to be critical. It is not, of course, for understanding comes much later to the student. The Teacher is unable to provide understanding, for oftentimes many, many, many lessons must be brought forth; great pain - known as suffering – endured, prior to explaining the lesson that the Teacher has presented to the student. Recognizing that the teacher is also learning is primary to the acceptance of a student. If the student seeks to revere the teacher - seeks to place the words of the teacher upon a pedestal, seeks to believe that the teacher knows all things, has access to all things - indicates the student need be better informed. It is the teacher’s responsibility to inform the student that the teacher is also student. Questions asked of the teacher that are not immediately responded to by the self, due to the knowingness that resides within, need be brought to the Teacher of the teacher; failure to do so grants permission to the mind to use logic. Often logic is completely erroneous and will mislead the student. The teacher that misleads the student is the teacher that is then misled by the teacher’s Teacher. It is to look at the roommate and to see, “He is half my age; I have much to teach him. He has a good heart, he has a good mind, he is a good friend and I am arguing with him over a few dollars of product, rather than teaching him what my decades of experience have taught me through my grasping of another’s [possessions] - my failure to be grateful, my failure to replace.” It is to “make another pay” that is still with you my sister, rather than embracing that the lesson to be provided by another should be paid for by the self, for there are many, many, many behind the self that have paid for the self’s lessons. You believe you are a generous person, but you are not. Student: No, I don’t believe I’m generous. Actually, I’m selfish and self-centered and I know that. It is to focus upon judgment versus recognition, to say to the self, “I recognize that I have been selfish. It is this that I seek to change. I shall try to be generous at least once each day, whether it is with my time, my service, or simply with my love.” The goal for all students is to recognize that there is great debt upon the self’s ledger. Many have aided the self to learn. As the self learns it is time to start checking off some of those debts by investing in those around the self that suffer similar unawareness as that which belonged to the self. Are there questions regarding this teaching? Student: Not at this time, thank you. I will learn to communicate appropriately. I will practice. I do not desire for you to practice my sister; you are well practiced already. Student: Then what would you like me to do? I seek for you to focus upon the heart. When I ask you a question, focus upon the heart, allow the answer to come forth and then provide it to me without varnish. Do you understand? Student: I do. Very well. I will do that. I will focus on doing that - only that. Belief, Faith, Trust - without these three, the Teacher shall most certainly fail with the student. Belief in the Teacher – that the Teacher that has arrived is indeed the most appropriate Teacher that the self embraces with open arms, with welcoming eyes, welcoming heart, welcoming mind, demanding that all bodies welcome the Teacher. Faith – faith in the self, that the self is capable, that the self has learned that which is necessary to be experiencing in this moment of time whatever the Teacher brings forth; to realize that the Teacher will never bring forth that which has not been prepared for extensively. The student is taught unconsciously until success has been achieved – prior to the first test being provided to the conscious student. The student who seeks inward at the time of testing has an increased likelihood of success at the first presentation of testing; however, most students are accustomed to accepting the automatic connection to the choices that have been made throughout the lifetime, choosing the negative, failing to shift the attitude to the positive. Faith is not resident once negativity arrives. The student begins to believe that the self cannot learn; that the Teacher is not the most appropriate Teacher – that the self need escape this vacuum of testing/failure, testing/failure, testing/failure. The Teacher calls upon the student to retrieve the faith that has been built through many, many lifetimes of interaction; it is this that is emphasized in the unconscious training, until the student begins to realize consciously that the Teacher does indeed have the self’s highest and best interests at heart and the student begins to tackle the true enemy of the self – darkness that lies within unnoticed, unrecognized. Trust – to trust that the self is capable, to trust that the self will experience no pain that isn’t regarded as necessary to the learning process - to trust the Teacher in all things, to overrule the mind that demands logic, to overrule the mind that closes and says I will not allow this experience; for it is the Teacher that is responsible for balancing karma. The more difficult the student makes this tasking, the more painful it becomes for the student; for the energies continue to build within, seeking release – release cannot be provided until the lesson has been learned, until the self realizes that it is the self’s behavior that is being brought front and center for the self to observe. It is the self that suffers; it is the Teacher that guides. It is important for all gathered to recognize that the student that presents the self believes that the self is doing all possible to learn, to overcome the grasp of the ego. It is the belief that the voice of the ego is the voice of the Teacher that misleads the student. The ego will tell the self those things that the self believes the self would not say to the self; it is the teacher utilizing negativity to teach - that which lies within the self is drawn forth and provided to the self. 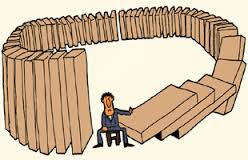 Karma plays a major role in the teaching style utilized with the student. The student that has been dishonest will find the Teacher providing dishonesty. The student that has misled others will find the Teacher misleading the self. The student that has been cruel to others will find the Teacher being cruel to the self. The student that fails to show gratitude will find the Teacher that demands more and more and more from the student. It is important for all students to recognize that to teach is no simple task, for the Teacher teaches the current self with full knowledge of the lessons that have been failed by the composites – those selves that comprise what is referred to as the composite. The current self is often shocked and dismayed at the tactics employed by the Teacher, believing that the voice of the Teacher is indeed the voice of the ego; the ego’s voice is kind, nurturing, compassionate, telling the self that protection and defense is critical to the self’s survival. Negativity is employed to amplify the messages being sent to the self from the mind, increasing negativity within the bodies exponentially, until the emotional body has overwhelmed the self completely; failure to recognize the tactics of the bodies results in failure for the student time after time after time. The Teacher can provide knowledge to the student of the variety in which I am providing in this moment but if the student fails to study, to draw forth the words into the heart, to feel them, to understand them deeply, then the next time that the mental body begins propelling the self with message, and the emotional body begins to overwhelm the self, all is forgotten. The Teacher is patient. Lifetime after lifetime lessons are presented - lifetime after lifetime after the first, second, third, fourth awakening the self is determined to learn, to heal, to know the self. Many, many, many lifetimes pass as the experiences are garnered by the consciousness, making possible the time well into the future when the student will regain the original divinity belonging to the consciousness by removing all negativity, by becoming love unconditional once again. It is the Teacher’s duty to guide the student as long as the student presents the self for lesson. It is for the student to honor, to respect the teacher; to honor and respect all those participating in the self’s healing. Failure to provide honor and respect drains all, leaching off vital energies that could be utilized to endorse all students; for the teacher must be love in the face of negativity – the ego that determines to challenge the teacher is well-placed, as the teacher must be tested many, many times. It is my honor to teach, to draw forth all that which lies within so that the student may examine, may see the self clearly, thereby being provided with opportunity to decide whether the self is desirous of change or if the self chooses to embrace that which has been revealed. It is vital that all students recognize that success is rarely experienced in rapid succession to recognition. I shall say that most students continue to fail for some time following the stage known as recognition, until the moment of great emotion arrives - the self is repulsed by the self’s behavior, the self can no longer endorse the behavior - for recognition of the damage intended has been made. The student who walks the path to healing continues to accumulate karma for some time after stepping forth to know, to understand, and to begin to heal the self. It is indeed damage that is the goal of the lesson plan – to injure others, thereby injuring the self; for the Teacher has been provided with energies to draw forth the lesson needed by the student so that the self may be provided with opportunity to see the self clearly, to recognize the lesson plan, thereby drawing the student ever closer to the moment of true choice – that which states the student seeks to walk upon the path to healing. Recognition is merely the first stage. The student that decides to accept the behaviors that are exposed to the self’s view is one who experiences stasis upon the path. The Teacher draws forth myriad lesson, pummeling, shall we say, the student into awareness of the self, into awareness of the self’s choice to allow and to endorse behaviors that prohibit progress.